Stay for 2 nights in our bungalows for the weekend of 23 - 25 November and get 30% OFF!!! We offer guided hikes, scorpion hunts and stargazing. We also have a play park & petting zoo. 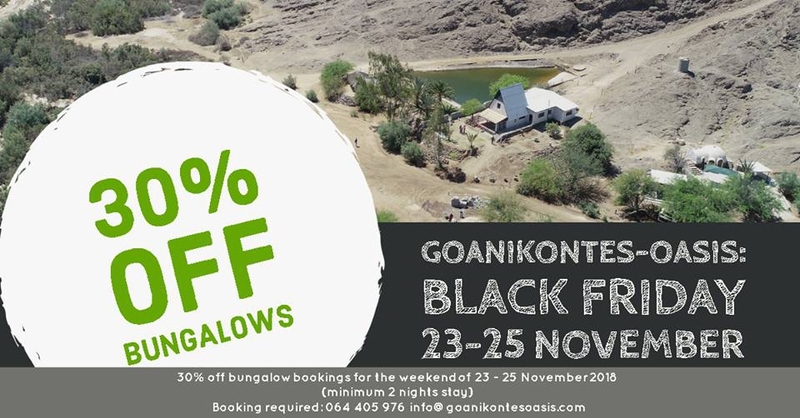 Break away for the weekend at Goanikontes-Oasis, only 35km East of Swakopmund!